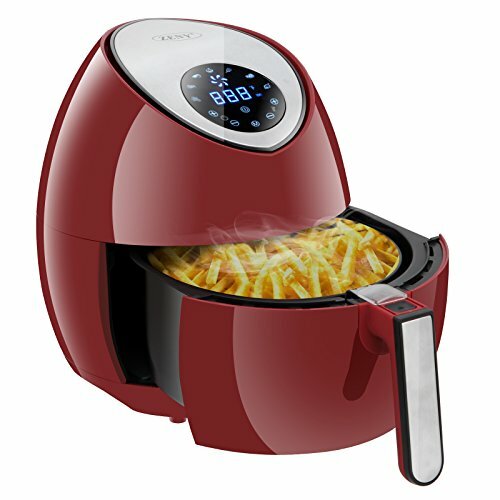 Air fryer basket and basket separator are dishwasher safe, this ZENY Air Fryer is perfect for frying a variety of dishes including: fries, potato gratin, steak, pork chops, hamburgers, drumsticks, spring rolls, cakes, and much more! ✦ Temperature control up to 400°F, 60-minute timer with auto shut-off. Adjust time and temperature during the frying at anytime. Large 3.5 liter basket provides enough capacity to cook snacks for the entire family or a main event.